Ten years ago after the banking crisis, the fallout from the bailout of RBS continues to reverberate. OVER the last 10 years, we have witnessed the most disgraceful, shameful episode in British banking’s 500-year history. Despite persistent and strenuous denials, RBS broke the rules to such an extent that they have been found guilty of the systematic mistreatment of their own business customers which led to the destruction of thousands of viable businesses, jobs and – in some cases – lives. Not only did they deny wrongdoing, they used all the money, influence and power at their disposal to shut down and discredit (even literally) anyone who tried to draw attention to their malpractice. Even more shockingly, I can come to no other conclusion than they are being protected by the regulator – the Financial Conduct Authority. 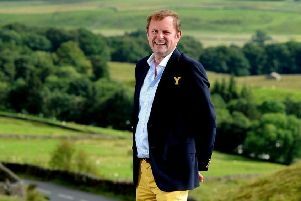 Yorkshire businessman Lawrence Tomlinson, then Entrepreneur in Residence at the Department for Business, Innovation and Skills, was the first to discover and report on the abuses of thousands of SMEs at RBS and their notorious ‘restructuring’ division, GRG, in 2013. Incredibly, their response to his report was to withdraw banking facilities of Tomlinson’s extensive business empire (he was an RBS customer) putting thousands of jobs at risk and even pressured its Coutts subsidiary to withdraw the mortgage on his home. Two months later, the FCA commissioned a full ‘Skilled Persons’ report. The terms of the report are set out in the Final Requirement Notice. Phase 1 was to address the allegations in the Tomlinson report and – if the actions of the bank found “widespread and/or systematic” – Phase 2 would then proceed, which would “consider the root causes” and establish whether “the cause of such treatment were known about, authorised by and/or sanctioned by management within RBS Group”. US compliance firm, Promontory, was named as the Skilled Person and the report was completed and handed to the FCA in September 2016. The report was damning. It upheld the vast majority of Tomlinson’s findings and went much further in a number of areas, describing mistreatment as “systematic”, which caused “material financial distress” and that they “failed to manage conflicts of interest”. Although the criteria for Phase 2 was clearly met, the FCA then infringed the terms of its own Final Requirement Notice by disinstructing Promontory and undertaking the next stage itself. It released a statement on its Phase 2 findings on July 28 this year concluding that its “powers to discipline for misconduct do not apply”. It could find “no evidence of dishonesty, lack of integrity”, any “absence of competence or capability”, anyone acting “recklessly or with a dodgy “ethical compass” and did not “make findings about misconduct” amongst the senior management team. How then did the UK’s biggest ever banking scandal take place? The FCA must now publish a full account of its findings so the public, media and Parliamentarians can then determine whether the FCA could – and should – have taken action against senior management, and whether we need to provide the regulator with more powers. Our regulatory system allows RBS to operate an internal compensation scheme for its own offences, for which it is both judge and jury. It has returned only £6.7m in the way of compensation for those who have suffered, despite profiting to the tune of billions of pounds from its misconduct. These issues are not isolated or specific to RBS, indeed we have seen proven cases of criminal fraud and serious allegations of cover up at Lloyds/HBOS. 1. A financial services tribunal. Our Fair Business Banking for All report proposes a new Financial Services Tribunal (a type of court) that would mirror provisions of employment tribunals and levels the playing field by allowing cases to be heard on the basis that the claimant is not liable for the bank’s legal costs, even if they lose. 2. More powers. SME business lending to be included in ‘conduct of business’ rules to make it easier for the FCA to take legal and disciplinary action against banks and bankers. 3. Fraud investigations. Allegations of fraud, including those that the FCA has evidence of, must be subject to vigorous and properly resourced investigations by the police, National Crime Agency and Serious Fraud Office. 4. A public inquiry. Ultimately, the only way to properly determine the extent of the problems in our banking system, to repair the damage, to hold the banking ‘untouchables’ to account and to reform their regulatory protectorate is through a full public inquiry. Kevin Hollinrake is MP for Thirsk and Malton and co-chair of the All Party Parliamentary Group for Fair Business Banking.